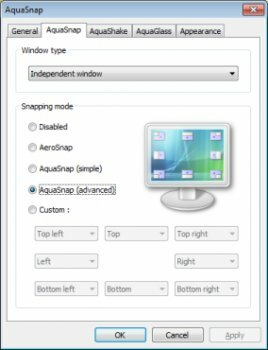 AquaSnap is a free software that greatly enhances the way you can arrange windows on your Desktop. It gives you the possibility to snap windows to the edges or to the corners of the desktop simply by dragging and dropping them where you want. very handy tool when you need multi windows open and must see them all at ounce, can be a great alternative instead of running multi display screens.